Fiver could sense danger. Something terrible was going to happen to the warren; he felt sure of it. They had to leave immediately. So begins a long and perilous journey of survival for a small band of rabbits. As the rabbits skirt danger at every turn, we become acquainted with the band, its humorous characters, and its compelling culture, complete with its own folk history and mythos. Where does Watership Down rank among all the audiobooks you’ve listened to so far? 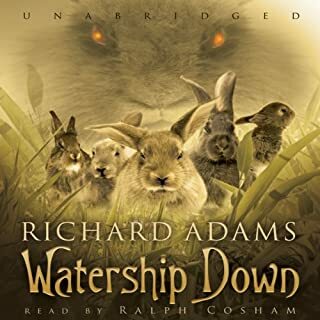 Watership Down is among my top 10 audiobooks I have listened to so far. What other book might you compare Watership Down to and why? I would compare Watership Down to The Hobbit because of the sense of fear of the new and having to face the unknown and dangers of the wild. Ralph Cosham made the story enjoyable to listen to and scary at the right moments. 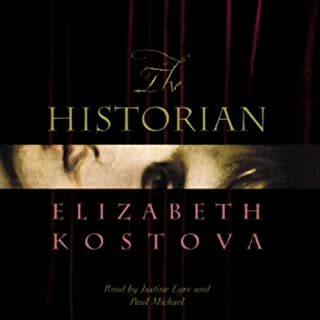 Would you listen to The Historian again? Why? No. The plot, story, and narration were good but it was a little too long. The book could have been summed up in a shorter period of time. I was really disappointed in the ending. It left some loose ends and unanswered questions. It was just abrupt. I enjoyed the scenes in Turkey and Bulgaria. Who was the most memorable character of The Historian and why? I enjoyed the girl narrator. Though we do not know much about her, she has a thirst for the truth about the past. It seemed a little one-sided historical speaking. I wish both sides were discussed. I would recommend this audiobook to a friend. It is a great story and despite being lengthy, is hardly drab. The narration makes me want to keep listening. 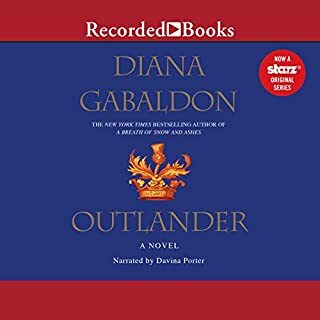 What other book might you compare Outlander to and why? I really don't have any books to compare at this time. What does Davina Porter bring to the story that you wouldn’t experience if you just read the book? She makes the reading enjoyable and is not boring. If I had read the book, it would have taken me much longer than reading it. 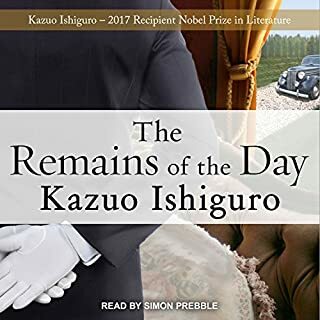 Would you listen to The Remains of the Day again? Why? I would listen to the novel again due to the story. The story is strange but good. What three words best describe Simon Prebble’s performance? If you could take any character from The Remains of the Day out to dinner, who would it be and why? I would take Miss Kenton to dinner because there is more to her than the narration gives. 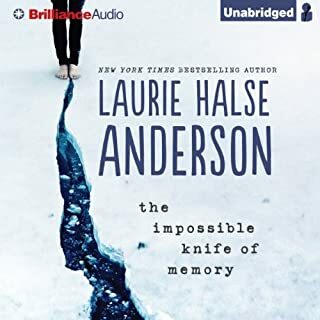 What did you like best about The Impossible Knife of Memory? What did you like least? I really enjoyed the narration. The narrator did a really good job of voicing each character and the pacing was great. What was most disappointing about Laurie Halse Anderson’s story? I have read Laurie Halse Anderson's "Speak" and was impressed by that story. I assumed that this would also impress me. It did not. Hayley is a self-centered brat who only really thinks about herself. She doesn't develop as a character and remains a whiny teenager who has no sympathy for really anyone, even, I dare say, her own father. Was The Impossible Knife of Memory worth the listening time? The year is 2004: Lina Sparrow is an ambitious young lawyer working on a historic class-action lawsuit seeking reparations for the descendants of American slaves. 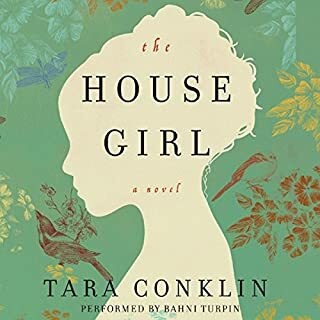 The year is 1852: Josephine is a 17-year-old house slave who tends to the mistress of a Virginia tobacco farm - an aspiring artist named Lu Anne Bell. It is through her father, renowned artist Oscar Sparrow, that Lina discovers a controversy rocking the art world: Art historians now suspect that the revered paintings of Lu Anne Bell, an antebellum artist known for her humanizing portraits of the slaves who worked her Virginia tobacco farm, were actually the work of her house slave, Josephine. When I first saw a summary for this book, I thought I would be impressed and the story would be fabulous. Not only was I wrong but I was so off I'm surprised I listened to the whole thing. The story is unrealistic and I don't have any sympathy for Lina the lawyer. The narration was good and listening to it was the only tolerable part of the experience. The story line was weak and the character development was lacking. We only saw Josephine from the third person and never the first. Lina drove me crazy within the first few pages.